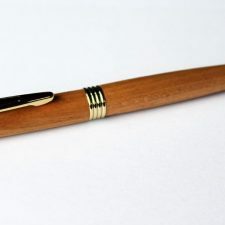 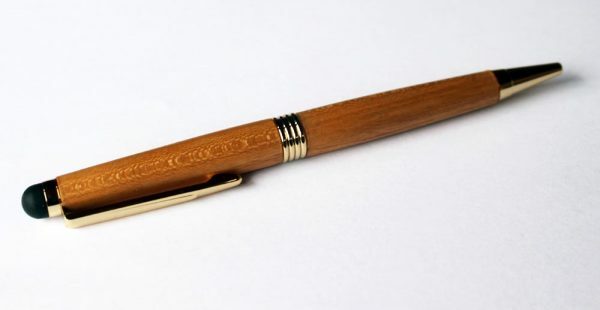 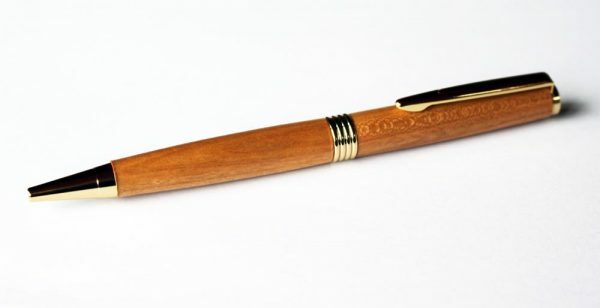 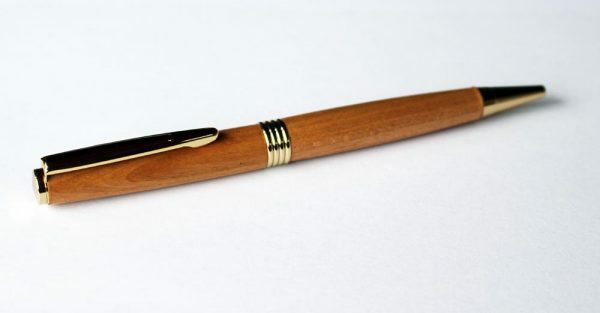 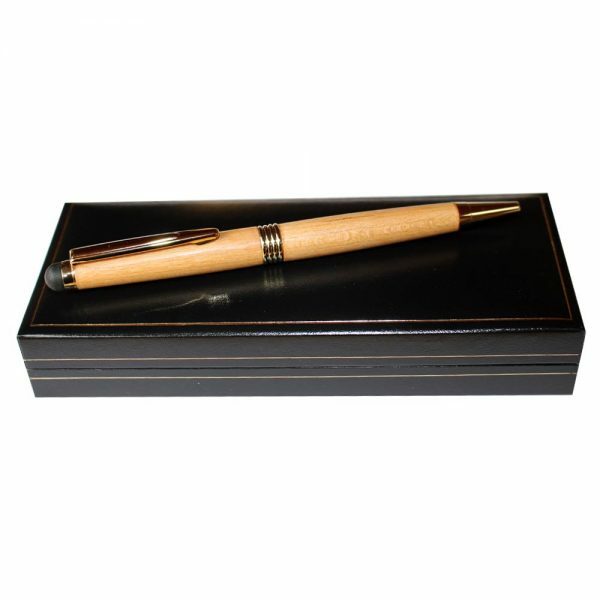 Wonderful Wooden Pens, hand-turned from native Irish Cherry, which is a lovely warm looking wood. These beautiful Irish handmade pens are a traditional streamline pen style and are a very comfortable writing pen. 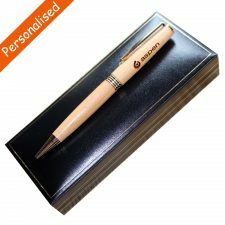 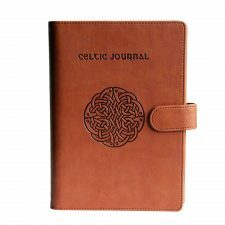 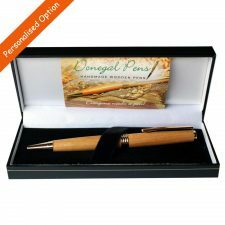 Make your Irish gift even more special by choosing our personalised laser engraved option, please allow an extra 3-5 working days for dispatch. 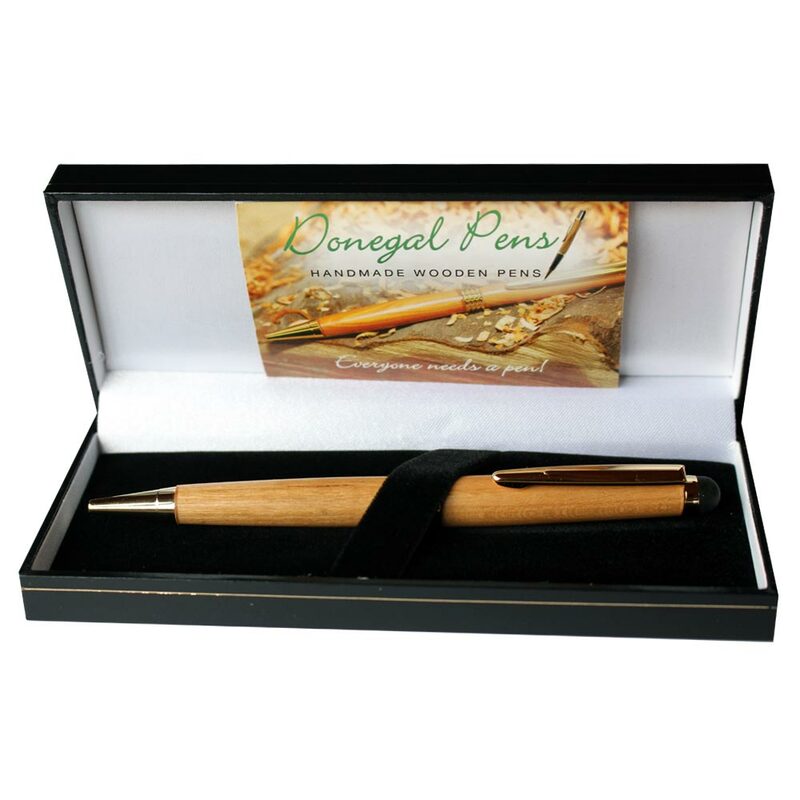 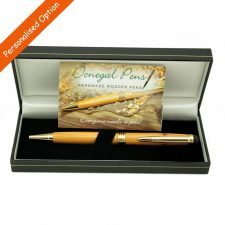 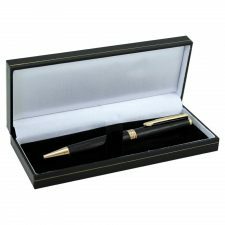 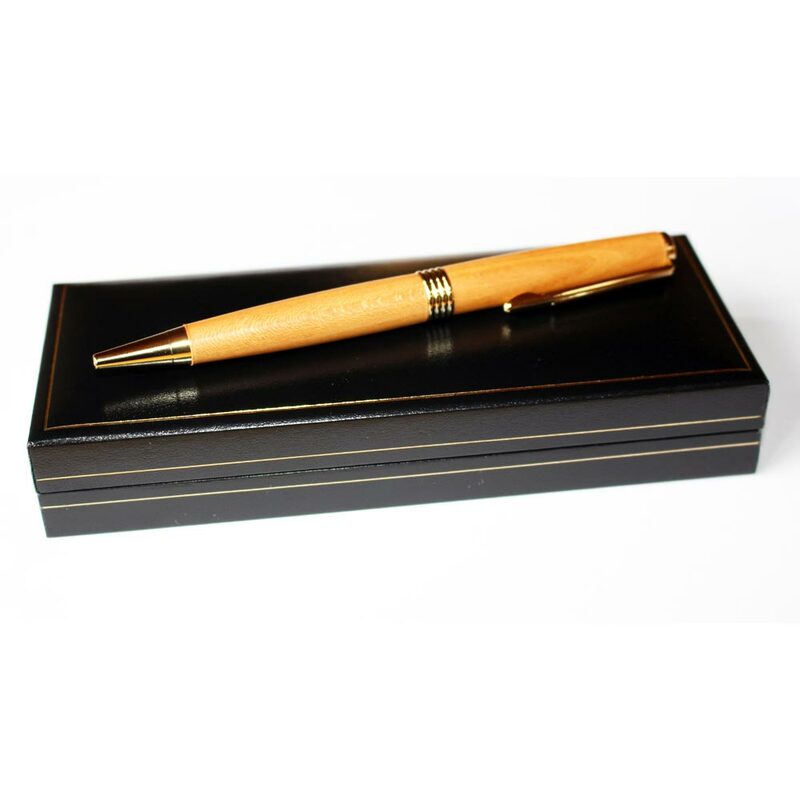 Handmade in Co. Donegal, these pens look and feel fabulous and make wonderful Irish gifts. 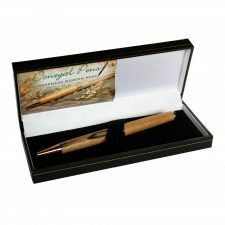 The Donegal Pens are handmade to an excellent quality – turned, polished, waxed and examined individually. 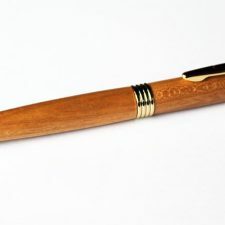 These pens come with a golden trim and the Cross style ballpoint ink of these pens is black, the refills for which are readily available in most good stationery stores. 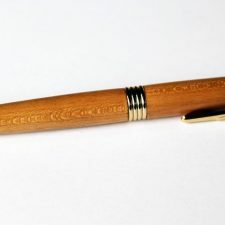 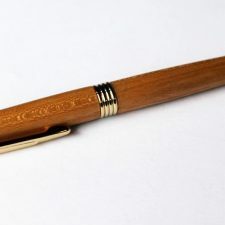 As with the nature of handcrafted wooden products each pen may show a slight variation in colouring to the image shown, making each one unique but still of an extremely high quality and beauty.